Caltech professor Leonard Mlodinow has coauthored a l book with Stephen Hawking on the creation of the universe. There are 3 videos in this series and they have statements by 150 academics and scientists and I hope to respond to all of them. Wikipedia notes Leonard Mlodinow is an American physicist, author and screenwriter. Mlodinow was born in Chicago, Illinois, of parents who were both Holocaust survivors. His father, who spent more than a year in the Buchenwald concentration camp, had been a leader in the Jewish resistance under Nazi rule in his hometown of Częstochowa, Poland  then Generalgouvernement (für die besetzten polnischen Gebiete). As a child, Mlodinow was interested in both mathematics and chemistry, and while in high school was tutored in organic chemistry by a professor from the University of Illinois. As recounted in his book, Feynman’s Rainbow, his interest turned to physics during a semester he took off from college to spend on a kibbutz in Israel, during which he had little to do at night beside reading The Feynman Lectures on Physics, which was one of the few English books he found in the kibbutz library…Apart from his research and books on popular science, he also co-wrote the screenplay for the 2009 film Beyond the Horizon and has been a screenwriter for television series, including Star Trek: The Next Generation and MacGyver. He co-authored (with Matt Costello) a children’s chapter book series entitled The Kids of Einstein Elementary. Between 2008 and 2010, Mlodinow worked on a book with Stephen Hawking, entitled The Grand Design. A step beyond Hawking’s other titles, The Grand Design is said to explore both the question of the existence of the universe and the issue of why the laws of physics are what they are. I am not one who believes in the Bible. I find it very hard to see how people could believe in the Bible, but on the other hand I am somewhat religious. I go to synagogue sometimes. I am more of what you would call an agnostic, but I see science as being separate and religious belief as being separate, and one doesn’t affect the other. My simple question is this? CAN SCIENCE CONFLICT WITH RELIGIOUS BELIEF AND STILL BOTH BE TRUE? Have you ever had someone in the culture tell you that ‘people of faith’ are simple minded folks who blindly believe that God exists in spite of overwhelming evidence to the contrary? Secularists often portray Christians as both ‘unreasonable’ and ‘unreasoning’. They simply believe that we have no idea what the evidence demonstrates related to the existence of God. They think we have blind faith, and they think we are comfortable with our blind obedience to the traditions of religion. Well I, for one, have never seen my faith in this way. I was an atheist for thirty five years because I believed that there was sufficient evidence to support naturalism. I will confess to you that I also thought that naturalism was the more reasonable worldview and that naturalists in general were more thoughtful and evidential. I thought that secularists and philosophical naturalists (I was both) were more committed to a rational examination of the evidence. But is this criticism valid? Are these observations true? Are those who believe in the existence of God truly holding on to an “outdated piece of ideological furniture”? Is it possible to be ‘reasonable’ and a theist at the same time? Is faith truly ‘blind’ or is it the result of a rational examination of the evidence? One thing is for sure, the concept of ‘blind faith’ is completely foreign to the Christian Worldview. Therefore do not be ashamed of the testimony of our Lord, or of me His prisoner; but join with me in suffering for the gospel according to the power of God, who has saved us, and called us with a holy calling, not according to our works, but according to His own purpose and grace which was granted us in Christ Jesus from all eternity, but now has been revealed by the appearing of our Savior Christ Jesus, who abolished death, and brought life and immortality to light through the gospel, for which I was appointed a preacher and an apostle and a teacher. For this reason I also suffer these things, but I am not ashamed; for I know whom I have believed and I am convinced that He is able to guard what I have entrusted to Him until that day. Over the centuries, Christians in all disciplines of inquiry and discovery have used their reasoning powers to investigate the evidence. Christians are not irrational by nature and many Christians have been world leaders in their use of reason and rationality. That’s quite a list of great thinkers, and it is only a very small representation of theists who have managed to retain a belief in God while deeply exploring the truths they have learned through reason and scientific observation. But these great thinkers have done more than simply hold on to their faith; it was their faith in the existence of an orderly and all-powerful God that established the foundation from which they knew that science could be done in the first place! Theists hold that our universe is the product of an orderly and rational God and as such, must certainly follow the laws of this orderly and rational law giver. For this reason, we should expect the universe to submit to certain universal constants that can be observed and tested. Perhaps this is why so many great scientific thinkers have been Christians. And these Christians certainly understand the connection between faith and reason. And the greatest of theistic thinkers was, of course, Jesus Himself. We don’t tend to think of him as the smartest man who ever lived, but (as God Himself) that is exactly what he was (and is). Jesus understood the relationship between reason and faith. Over and over again he offered EVIDENCE that he was God and asked those who were watching to use their reason to connect the evidence to the truth. Unreasonable Faith: Believing in something IN SPITE of the evidence. We hold an unreasonable faith when we refuse to accept or acknowledge evidence that exists, is easily accessible and clearly refutes what we believe. Blind Faith: Believing in something WITHOUT any evidence. We hold a blind faith when we accept something even though there is no evidence to support our beliefs. We don’t search for ANY evidence that either supports or refutes what we are so determined to believe. Reasonable Faith: Believing in something BECAUSE of the evidence. We hold a reasonable faith when we believe in something because it is the most reasonable conclusion from the evidence that exists. The Bible repeatedly makes evidential claims. It offers eyewitness accounts of historical events that can be verified archeologically, prophetically and even scientifically. We, as Christians are called to hold a REASONABLE FAITH that is grounded in this evidence. Now it’s important to realize that theists are not the only people who employ ‘faith’ as they sort through and accept truth claims. All of us are comfortable accepting many propositions without clear or tangible definitive evidence. Trusting when you don’t have perfect evidence; this is the substance of ‘faith’, this is what it means to move and rely on ‘faith’. And all of us trust in something we cannot observe, or cannot confirm from direct physical evidence. As an example, both the theist and the atheist must trust in something they cannot see or confirm in order to explain the origin of life in the universe. Both sides may have good theories, both sides may build their case from the best circumstantial evidence available to them, but at the end of the day, both the theist and the atheist are going to have to place their confidence in something that cannot be observed or confirmed with direct physical evidence. Neither group was present at the point at which life began to observe the moment evidentially as eyewitnesses. Reason and faith are not enemies, they are essential partners as we do our best to observe, make sense of, and live in the world around us. But, Can Fallen Humans Really Trust Their Own Rationality? The wrath of God is being revealed from heaven against all the godlessness and wickedness of men who suppress the truth by their wickedness, since what may be known about God is plain to them, because God has made it plain to them. For since the creation of the world God’s invisible qualities-his eternal power and divine nature-have been clearly seen, being understood from what has been made, so that men are without excuse. For although they knew God, they neither glorified him as God nor gave thanks to him, but their thinking became futile and their foolish hearts were darkened. Although they claimed to be wise, they became fools and exchanged the glory of the immortal God for images made to look like mortal man and birds and animals and reptiles. Isn’t the natural mind too depraved to understand the things of God? Aren’t humans incapable of understanding the truth of God’s existence unless God first acts to remove the intellectual barriers so they can see the truth? And if this is the case, isn’t it futile for us to be sharing evidence with people who, in their ‘natural’ condition, are going to reject the truth anyway? Well let’s think about that for a second. While it is clear that no one comes to the Son unless the Father first draws them, and it is clear that our minds must first be renewed by God so that they can understand spiritual truths, it is also clear that these truths were delivered EVIDENTIALLY to eyewitnesses who then testified about them in the special revelation of the scriptures, and these truths are also available to us EVIDENTIALLY through the natural world that we live in. We observe and listen to the eyewitness accounts of scripture and to natural revelation using our empirical senses, and we appraise the evidence using our rational minds. Yes, God does ‘flip the switch’ and remove barriers that we construct to deny the truth, but He expects us to reason through the evidence once the switch has been flipped. When non-believers try to paint Christians as unthinking and irrational, they are simply trying to demonize those with whom they disagree. The truth is that while we may not agree on the conclusions reached by atheists, we theists HAVE used our reasoning powers in a rational way to look at the evidence. Not all atheists are rational, and not all Christians have been rational in their examination of the evidence either. But for rational, evidential theists who are committed to studying the truth of their worldview, reason and rationality have been essential to our faith. call Dawnielle at (800) 2-REASON. I was an atheist for 35 years. I was passionate in my opposition to Christianity, and I enjoyed debating my Christian friends. I seldom found them to be prepared to defend what they believed. I became a Police Officer and eventually advanced to Detective; I spent twelve years working cold-case homicides. Along the way, I developed a healthy respect for the role of evidence in discerning truth, and my profession gave me ample opportunity to press into practice what I learned about the nature and power of evidence. Throughout all of this, I remained an “angry atheist,” hostile to Christianity and largely dismissive of Christians. But I have to admit that I never took the time to examine the evidence for the Christian Worldview without the bias and presupposition of naturalism. I never gave the case for Christianity a fair shake. When I finally examined the evidence fairly using the tools I learned as a detective, I found it difficult to deny, especially if I hoped to retain my respect for the way evidence is utilized to determine truth. I found the evidence for Christianity to be as convincing as any cold case I’d ever investigated. From angry atheist, to skeptic, to believer, to seminarian, to pastor, to podcaster and author, my journey has been assisted by my experience as a detective. I want to help you understand how evidence is used to make a case and then show you the evidential strength of the case for Christianity. I’ll teach you the principles of cold-case investigations and help you to utilize these investigative tools to make the case to others. 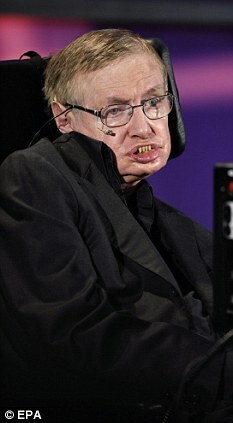 There’s no denying that Stephen Hawking is intellectually bold as well as physically heroic. And in his latest book, the renowned physicist mounts an audacious challenge to the traditional religious belief in the divine creation of the universe. Unfortunately, while Hawking’s argument is being hailed as controversial and ground-breaking, it is hardly new. But, as both a scientist and a Christian, I would say that Hawking’s claim is misguided. He asks us to choose between God and the laws of physics, as if they were necessarily in mutual conflict. To use a simple analogy, Isaac Newton’s laws of motion in themselves never sent a snooker ball racing across the green baize. That can only be done by people using a snooker cue and the actions of their own arms. Hawking’s argument appears to me even more illogical when he says the existence of gravity means the creation of the universe was inevitable. But how did gravity exist in the first place? Who put it there? And what was the creative force behind its birth? Similarly, when Hawking argues, in support of his theory of spontaneous creation, that it was only necessary for ‘the blue touch paper’ to be lit to ‘set the universe going’, the question must be: where did this blue touch paper come from? And who lit it, if not God? Much of the rationale behind Hawking’s argument lies in the idea that there is a deep-seated conflict between science and religion. But this is not a discord I recognise. We live in an information age. When we see a few letters of the alphabet spelling our name in the sand, our immediate response is to recognise the work of an intelligent agent. How much more likely, then, is an intelligent creator behind the human DNA, the colossal biological database that contains no fewer than 3.5 billion ‘letters’? It is fascinating that Hawking, in attacking religion, feels compelled to put so much emphasis on the Big Bang theory. Because, even if the non-believers don’t like it, the Big Bang fits in exactly with the Christian narrative of creation. That is why, before the Big Bang gained currency, so many scientists were keen to dismiss it, since it seemed to support the Bible story. Some clung to Aristotle’s view of the ‘eternal universe’ without beginning or end; but this theory, and later variants of it, are now deeply discredited. Hawking’s new fusillade cannot shake the foundations of a faith that is based on evidence. God’s Undertaker: Has science Buried God? by John Lennox is out now (Lion Hudson, £8.99). « Links to articles on Antony Flew’s conversion from Atheism to Theism from March and April 2014 on www.thedailyhatch.org !!! !